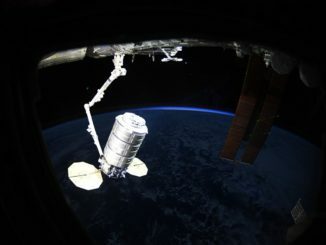 NASA flight engineer Anne McClain grappled Northrop Grumman’s Cygnus supply ship with the International Space Station’s robotic arm Friday, marking the automated cargo freighter’s arrival after an abbreviated day-and-a-half-long journey from a launch pad in Virginia with nearly 7,600 pounds of experiments, food and provisions. 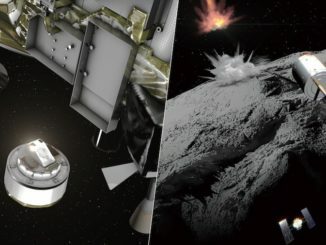 Japan’s Hayabusa 2 spacecraft dropped an explosive charge on asteroid Ryugu on Thursday night in an audacious attempt to carve a crater on the object, exposing pristine underground rocks to be retrieved by the probe for return to Earth. 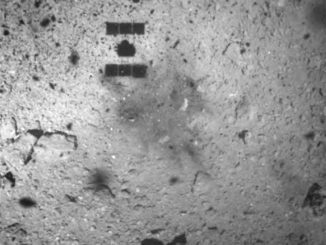 A camera riding on Japan’s Hayabusa 2 spacecraft recorded stunning views of the probe’s final descent to asteroid Ryugu last month, showing the rocky debris kicked up by the robot explorer’s touch-and-go landing to collect a sample for return to Earth. 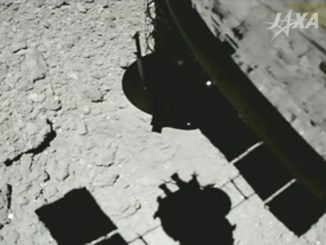 Japan’s Hayabusa 2 spacecraft briefly landed on an asteroid Thursday more than 200 million miles from Earth and fired a bullet to scoop up a rocky sample, successfully accomplishing one of the mission’s most challenging maneuvers before returning the asteroid specimen to scientists on the ground in December 2020. 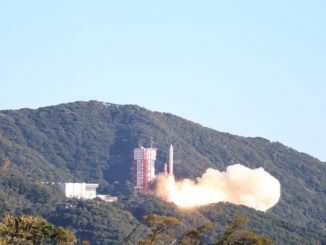 Seven small satellites launched aboard a Japanese Epsilon rocket Friday, including a diverse suite of tech demo payloads and a spacecraft designed to create an artificial meteor shower next year that developers say should be visible with the naked eye. 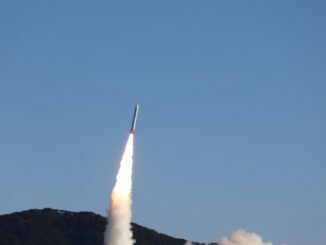 Seven Japanese and Vietnamese smallsats are set to ride Japan’s solid-fueled Epsilon launcher into orbit at 0050 GMT Friday (7:50 p.m. EST Thursday) on a mission that engineers say will demonstrate the light-class rocket’s ability to accommodate multiple payloads on a single flight. 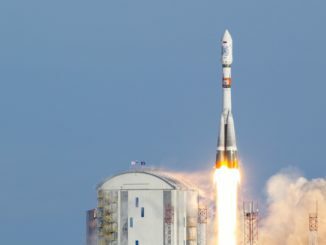 A Russian Soyuz rocket lifted off from the Vostochny Cosmodrome in Russia’s Far East on Thursday carrying 28 satellites, including a pair of Russian mapping satellites, secondary payloads from Germany, Japan, Spain, South Africa, and a dozen Earth-observing CubeSats and eight commercial weather payloads for Planet and Spire. 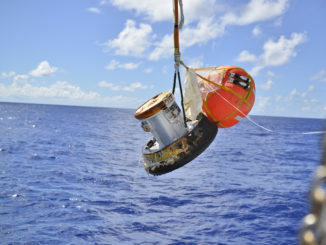 A miniature cargo return vehicle carried aboard a Japanese supply ship splashed down in the Pacific Ocean earlier this month in the first test of a new capsule to bring home experiment samples from the International Space Station. 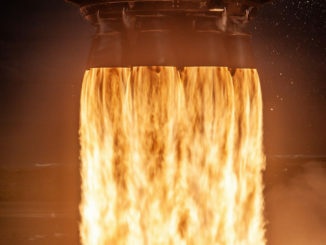 A SpaceX Falcon 9 rocket boosted by a recycled first stage fired into the skies over the Kennedy Space Center in Florida on Nov. 15, and these photos show the start of the 229-foot-tall launcher’s journey into orbit. 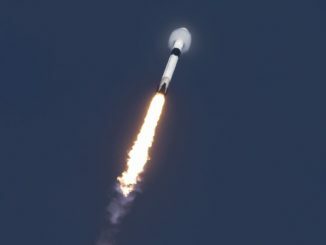 A SpaceX Falcon 9 rocket darted into a partly cloudy sky over Florida’s Space Coast with a roar Thursday afternoon, carrying the Japanese-built Es’hail 2 communications satellite into space to beam commercial video and data services across the Middle East and expand connectivity for Qatar’s military.